The Seattle Mariners head to Minute Maid Park on Tuesday, July 18, 2017 to take on the Houston Astros. The expected starting pitchers are Sam Gaviglio for the Mariners and Brad Peacock for the Astros. The odds for this matchup have Seattle at +167 and Houston at -177. The Mariners have a 44-45-4 over/under mark and a 42-51-0 run line record. The Astros are 55-37-0 against the run line and have a 48-37-7 over/under record. The Mariners have a 46-47 overall record this season. Starting pitcher Sam Gaviglio has a 3-4 record with an earned run average of 4.31 and a WHIP of 1.31. He has 37 strikeouts over his 56.1 innings pitched and he's given up 55 hits. He allows 8.8 hits per 9 innings and he has a FIP of 5.89. The bullpen has an earned run average of 4.07 and they have given up 285 base hits on the year. Teams are hitting .234 against the bullpen and they've struck out 299 hitters and walked 119 batters. As a team, Seattle allows 8.6 hits per nine innings while striking out 7.5 batters per nine innings. They are 16th in the league in team earned run average at 4.5. The Mariners pitchers collectively have given up 795 base hits and 414 earned runs. They have allowed 141 home runs this season, ranking them 2nd in the league. Seattle as a pitching staff has walked 293 batters and struck out 688. They have walked 3.2 men per 9 innings while striking out 7.5 per 9. They have a team WHIP of 1.31 and their FIP as a unit is 4.86. As a team Seattle is hitting .263, good for 7th in the league. The Mariners hold a .419 team slugging percentage and an on-base percentage of .332, which is good for 7th in baseball. They rank 8th in MLB with 8.9 hits per game. Robinson Cano is hitting .271 with an on-base percentage of .331. He has 89 hits this season in 328 at bats with 63 runs batted in. He has a slugging percentage of .479 and an OPS+ of 116. Nelson Cruz is hitting .292 this year and he has an on-base percentage of .375. He has totaled 90 hits and he has driven in 73 men in 308 at bats. His OPS+ is 142 while his slugging percentage is at .532. The Mariners have 832 hits, including 156 doubles and 107 home runs. Seattle has walked 294 times so far this season and they have struck out 716 times as a unit. They have left 619 men on base and have a team OPS of .750. They score 4.8 runs per contest and have scored a total of 446 runs this year. Houston has a 62-30 overall mark this year. With an earned run average of 2.63, Brad Peacock has a 7-1 record and a 1.30 WHIP. He has 84 strikeouts over the 61.2 innings he's pitched. He's also given up 43 hits. He allows 6.3 hits per nine innings and his FIP stands at 2.53. The bullpen has an earned run average of 3.99 and they have given up 258 base hits on the year. Teams are hitting .216 against the Astros bullpen. Their relievers have struck out 400 batters and walked 117 opposing hitters. As a team, Houston allows 7.9 hits per nine innings while striking out 10.2 batters per nine innings. They are 6th in the league in team earned run average at 3.92. The Astros pitchers as a team have surrendered 723 base knocks and 360 earned runs this season. They have given up 108 home runs this year, which ranks 20th in Major League Baseball. Houston as a staff has walked 296 hitters and struck out 938 batters. They give up a walk 3.2 times per 9 innings while they strike out 10.2 per 9. Their team WHIP is 1.23 while their FIP as a staff is 3.76. As a team, they are batting .289, good for 1st in the league. The Astros hold a .498 team slugging percentage and an on-base percentage of .356, which is good for 1st in baseball. They rank 1st in MLB with 10.1 hits per contest. 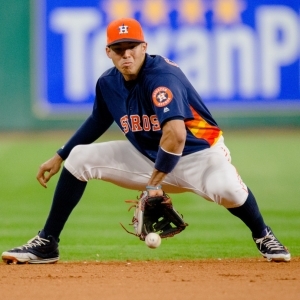 Carlos Correa comes into this matchup batting .321 with an OBP of .402. He has 104 hits this year along with 66 RBI in 324 AB's. He maintains a slugging percentage of .568 with an OPS+ of 166. Jose Altuve is hitting .350 this season and he has an OBP of .420. He has collected 121 hits in 346 at bats while driving in 51 runs. He has an OPS+ of 170 and a slugging percentage of .561. The Astros as a unit have 926 base hits, including 204 doubles and 151 homers. Houston has walked 306 times this year and they have struck out on 620 occasions. They have had 632 men left on base and have an OPS of .854. They have scored 5.91 runs per game and totaled 544 runs this season. Who will win tonight's Mariners/Astros MLB game against the spread?